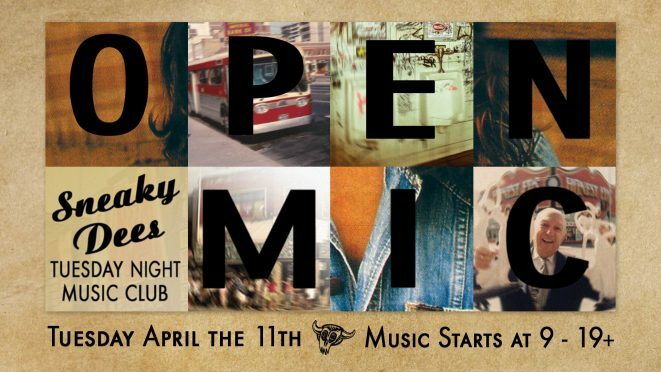 Starting next Tuesday, there is a new monthly event called the Tuesday Night Music Club, a series of monthly Open Mic Nights at Sneaky Dee’s. Everyone’s welcome so come and show us the goods. there will be a tuning pedal, cables, and DIs, so you only need to bring your chosen instrument. Admission is FREE, Music starts at 9 pm.